Häät magazine wanted to feature Heidi Ahlbom`s wedding in their magazine. 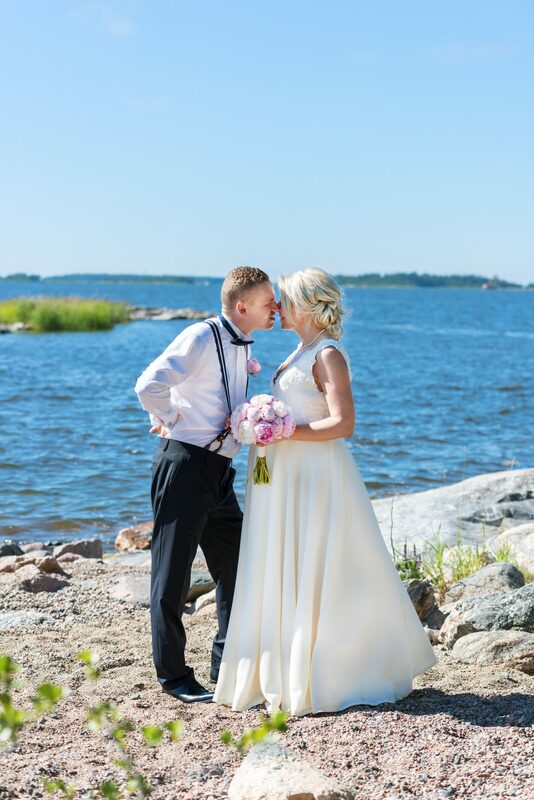 The wedding took place by the seaside in Rauma. Heidi was ninth month pregnant in her own wedding and the whole day was unforgettable. The wedding was an intimate with about 25 guests, only the closest friends were there to celebrate under the Finnish blue sky. The sun was shining, weather was warm and everybody was enjoying.